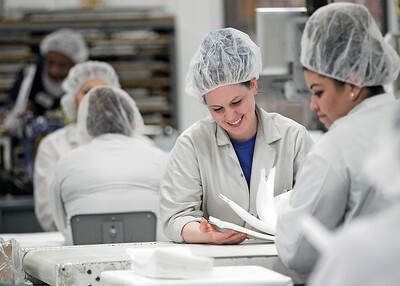 Matthew Apgar - mapgar@shawmedia.com Angela Zymali, second from right, and Jessica Maciel, right, inspect and pack medical grade pouches on Wednesday, Feb. 17, 2016 at Technipaq in Crystal Lake. 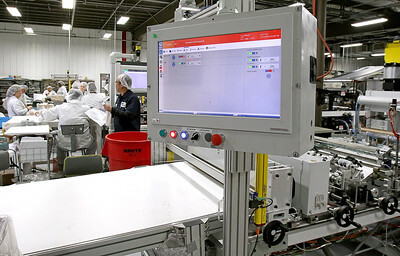 The company has added another flexible pouch converting machine to its business. Matthew Apgar - mapgar@shawmedia.com Technipaq Director of Operations Kory Beckman talks about their facility on Wednesday, Feb. 17, 2016 in Crystal Lake. 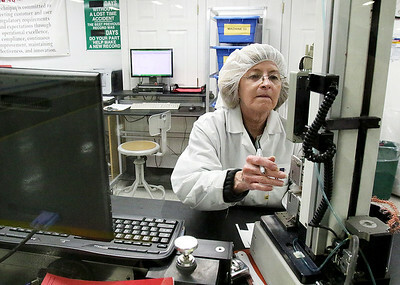 Matthew Apgar - mapgar@shawmedia.com Lucy Bollwahn works on quality control inside Technipaq on Wednesday, Feb. 17, 2016 in Crystal Lake. Matthew Apgar - mapgar@shawmedia.com Technipaq inspector TJ Solola looks over medical grade pouches created in their new pouching room on Wednesday, Feb. 17, 2016 in Crystal Lake. 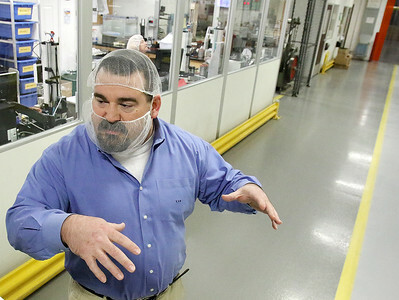 Matthew Apgar - mapgar@shawmedia.com Inspectors look over medical grade pouches created in their new pouching room on Wednesday, Feb. 17, 2016 in Crystal Lake. 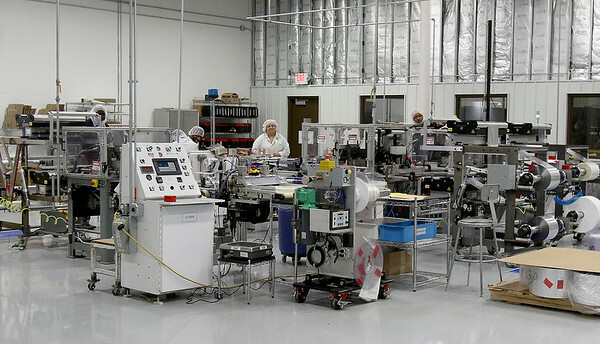 Matthew Apgar - mapgar@shawmedia.com Inspectors work in the back behind a new flexible pouch converting machine on Wednesday, Feb. 17, 2016 at Technipaq in Crystal Lake. Technipaq inspector TJ Solola looks over medical grade pouches created in their new pouching room on Wednesday, Feb. 17, 2016 in Crystal Lake.